OPTIX Co is the first firm in Bulgaria and one of the first companies in Europe that has successfully implemented a quintuple integrated management system, including the following international standards: ISO 9001:2008 – Quality management, ISO 27001:2005 – Information Security, ISO 14001: 2005 – Environmental Protection, AQAP 2110 – Military Standard of NATO, OHSAS 18001:2007 – Labour health and safety. OPTIX Co is one of the first companies in Bulgaria to obtain a certification in accordance with NATO standards AQAP 2110. The company is awarded the manufacturer/ supplier NCAGE code 0001BU in the NATO codification system. Established in 1998 as a 100% private company OPTIX Co specializes in the design and manufacturing of optical, opto-mechanical and opto-electronic assemblies and devices for military and law enforcement applications. Competently applying the modern technologies, OPTIX Co executes the entire production cycle – from design and implementation of prototypes to serial production of components, assemblies and devices. The production meets all the requirements of European and world standards – DIN, MIL, ISO, BS. 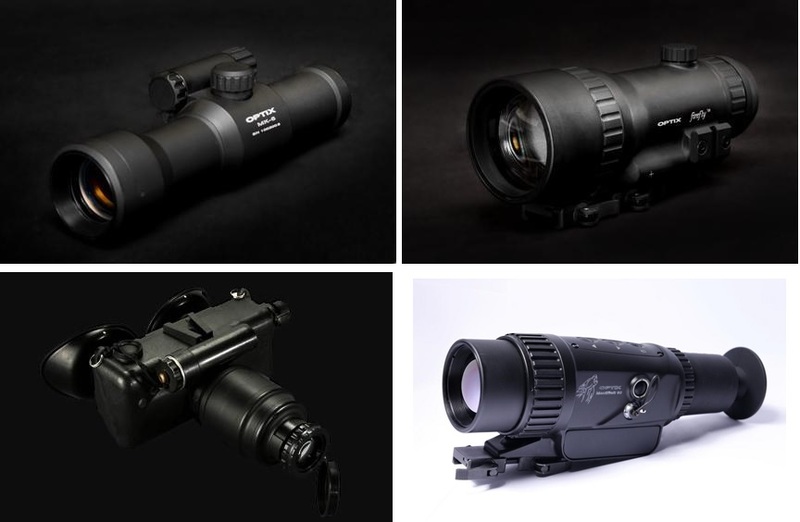 The contemporary design, ergonomics and high technical characteristics of the products are comparable to the best world samples and excite a well-founded interest of the leading companies in the optical, medical and defense industries. OPTIX Co has implemented a CAD/CAM system for design, analysis, development and testing of devices in a united electronic environment. The company has integrated an ERP – system for business resource management of all operational levels – supply, production, sales, finance and accounting. OPTIX Co is the only company in Bulgaria, which develops and manufactures a full range of special optical devices and systems for the army and police forces: night vision goggles and binoculars; day and night sights for small arms; TV systems for day/night surveillance; mobile thermal vision systems for border control and surveillance; laser range finding systems; in and outside security and alert systems of strategic sites` approaches; systems for perimeter and outside perimeter guarding and beforehand warning of the approaches to objects of strategic purposes; lenses for LCD projection systems; special equipment for measurement and testing.